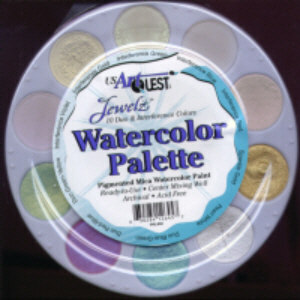 Ready to use pigmented mica watercolour paint. Available in 4 set options. 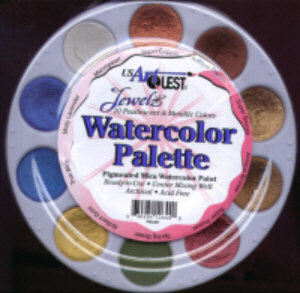 The colours in this set are :- Interference Green, Interference Blue, Interference Red, Sparkle Gold, Pearl White, Duo Blue-Green, Duo Red-Blue, Duo Green-Yellow, Interference Violet and Interference Gold. 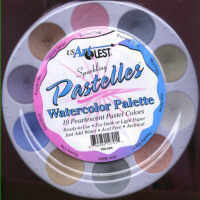 The colours in this set are :- Super Copper, Antique Copper, Super Bronze, Antique Bronze, Super Russet, Spring Green, Brilliant Gold, True Blue, Misty Lavender and Macropearl. The colours are Tickled Pink, Evening Myst, Mint Patty, Just White, Peachy Keen, Irish Belle, Sunny Day, Cool Blue, Purple Haze and Beyond Beige. 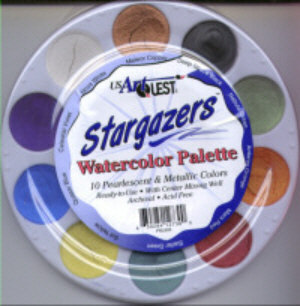 The colours in this pallette are Meteor Copper, Deep Space Black, Nebula Green, Antares Orange, Mars Red, Stellar Green, Sol Yellow, Quasar Blue, Celestial Violet and Nova White.